????? The following article is purely fiction, based on future predictions. The following article is purely fiction, based on future predictions. The League of Legends Season Five World Championship is drawing to a close. 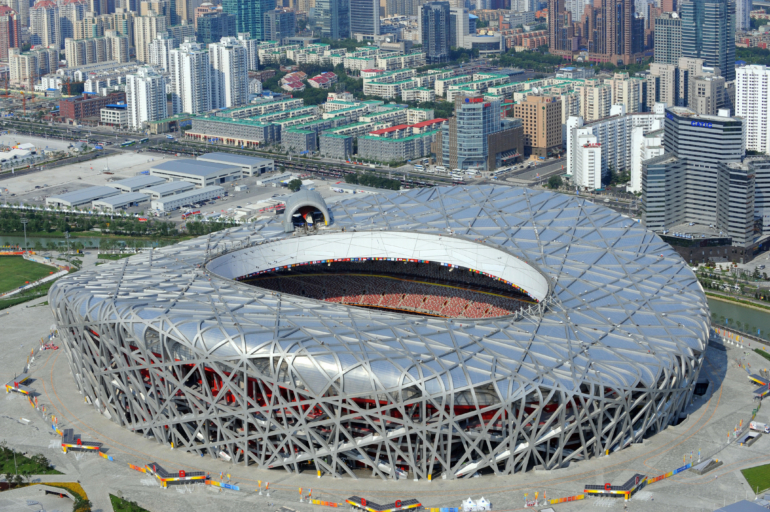 Nearly one hundred thousand fans from all over the world pack into the Beijing National Stadium, formerly home to the 2008 Summer Olympics. Spectators slam their illuminated thundersticks together, creating an insane amount of noise as the players take the stage. This year’s World Finals are similar to those from the year before, featuring a Korean team against a Chinese team. As both teams are introduced, there is a drastic difference between the applause the players receive. While there is raucous levels of noise after the Chinese squad is introduced, the stadium is near-silent as the announcer runs through the names of the opposing Korean players. In a highly exclusive press box above the stadium’s upper deck, the sole owner of the Chinese team sips a glass of wine, faintly smiling as he looks down on the crowd. This would be the start of his dynasty. The Koreans had fallen, and the dynasty of China had already begun. After the World Championship in 2014, the Korean eSports Association decided that they were going to reform their entire League System. In order to add more competition between companies and sponsors, KeSPA passed a rule that an eSports organization may only have one single team in the OGN at any time. While some team owners were happy about the legislation, others worried about how they were going to turn a team of ten players into five. This rule was especially troubling for the Koreans, since the OGN had been starting to slowly crumble away. Chinese teams were offering hundreds of thousands of dollars to Korean players who were willing to migrate to the West. It was nearly impossible for extremely young players to resist this offer, as China was known to have a much less rigorous practice schedule as opposed to Korea. It has also been rumored that Korean organizations tend to treat their players and staff poorly, and this fact has been made more evident due to the mass Exodus of ex-OGN gamers to China in such a short amount of time. The unfortunate thing for fans here in the West is how closed-off the Asian eSports scene is. Aside from occasional content from OnGamers and MonteCristo, we don’t tend to see a lot of media from Korea. On camera, Samsung White appeared to be a well oiled and disciplined machine. Judging by how quickly each player jumped ship after winning the 2014 World Championship, there could be something much darker going on within Korean Organizations. In the span of less than a month, Samsung White had lost 4 out of 5 of their starting roster, with only Looper remaining. Former team captain, Se-hyeong “Mata” Cho, announced his retirement just weeks after hoisting the coveted Summoner’s Cup. He has stated that he expresses interest in migrating West to a possible coaching role in North America’s TSM. Shortly after that, SSW took another huge blow, losing Imp, Pawn, and DanDy to Chinese teams. Even their sister team, Samsung Blue, lost two of their most pivotal players during the offseason. Korean Superstars, Dade and Deft, have both decided to move to China as well, leaving the Samsung Organization devastated. Looking to next season, one of two things can happen. Either the Koreans will have to settle for second-best with rapidly stagnating players, or fresh talent will bring their scene back to the top.